Yay! 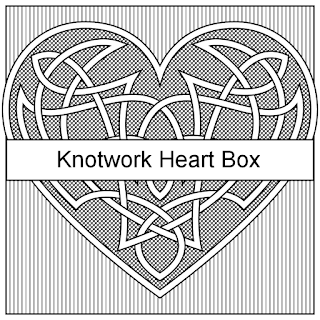 New printable gift boxes. 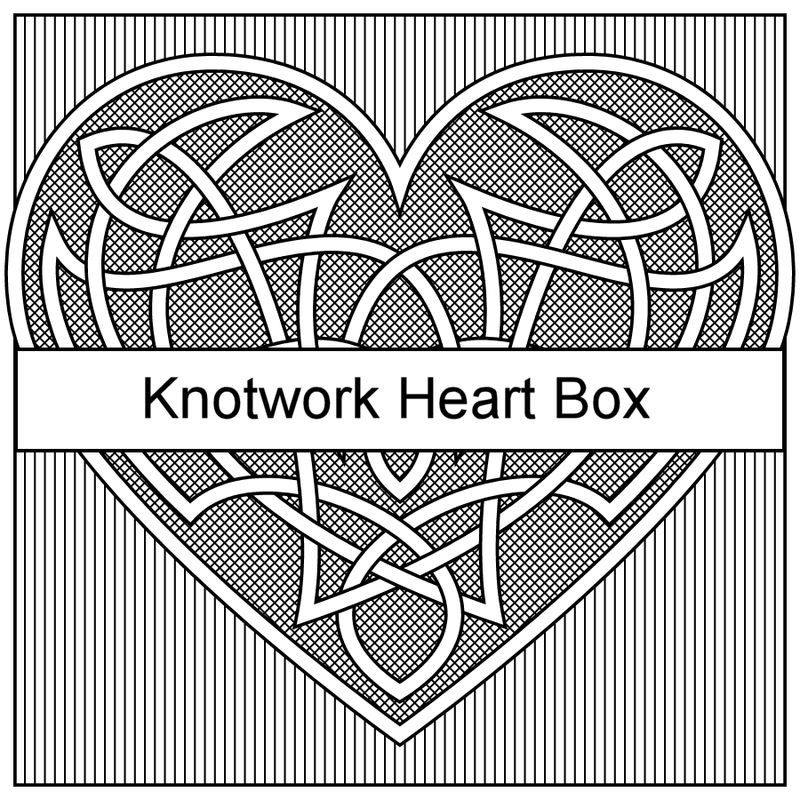 And yes, there will be a coloring page with this knot later. 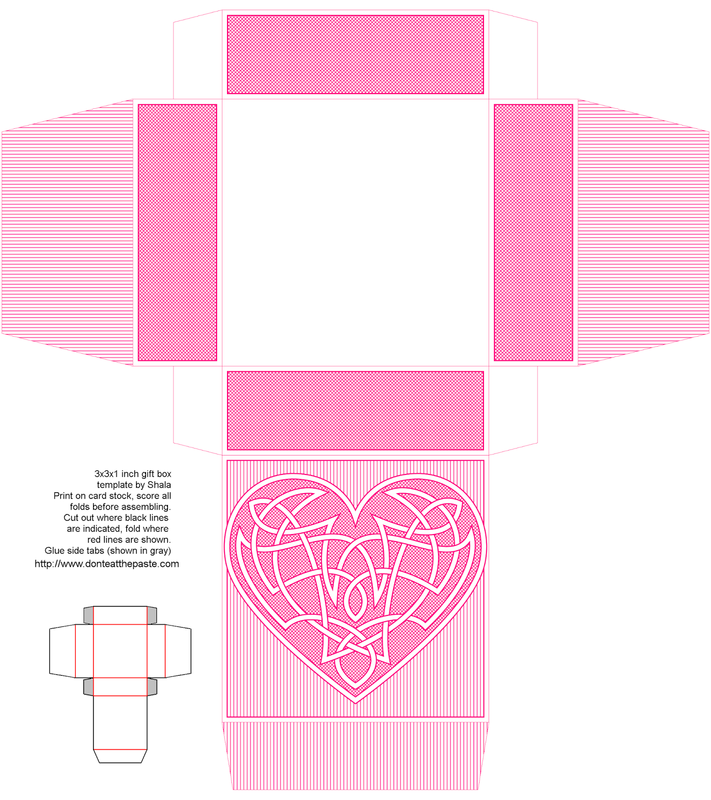 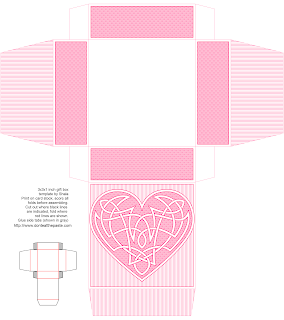 Click the images below for a larger version, print the box, cut out, score folds, fold, glue.